Asian Access - Janice was so impressed, she joined the Board! A year ago, my friend and colleague Adrian De Visser suggested I get to know Janice Munemitsu. What a powerhouse! Upon Adrian’s recommendation, I quickly invited her to teach with Asian Access and boy was I impressed. 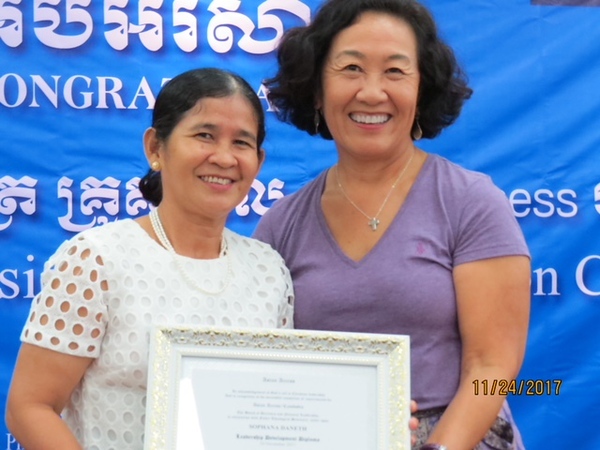 She co-taught with me in Cambodia which she references below and as I got to know her that week, I thought, Janice would make a great board member. Just one divine appointment, and the next thing I knew, Joe Handley invited me to teach with him in Cambodia. What an amazing group of pastors and ministry leaders I met there! I was most impressed by their faithful enthusiasm in the midst of religious pressures, their collaborative and supportive spirit regardless of their ministry or denominational affiliations, and how authentically they shared their lives - hardships, blessings, struggles, joys. 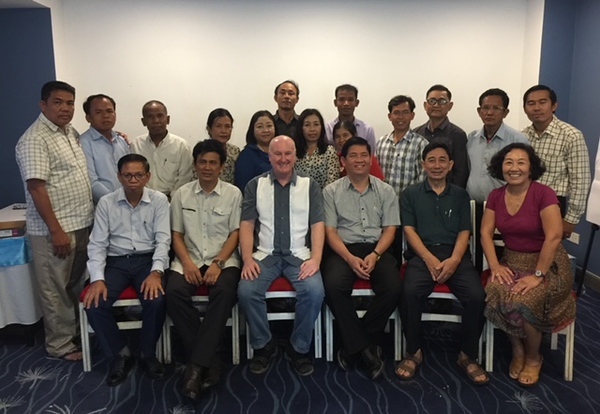 In addition to more seasoned pastors, the group included younger pastors and their spouses as church planting teams, and young women leading ministries. I love the integrated nature of the A2 group - regardless of denomination, ministry type/size, or gender. This group had been together for 2 years and I was blessed to witness their graduation ceremony where they shared their testimonies of the life change through the A2 cohort group. I saw first-hand what “changing the few who change the many” looks like as the leaders told their own stories of transformation and how A2 has impacted their lives, families, and ministries toward sustainability and growth through church planting and increasing ministry scope. And I have no doubt of the Spirit’s work in these amazing servants and the A2 program that brought them together. 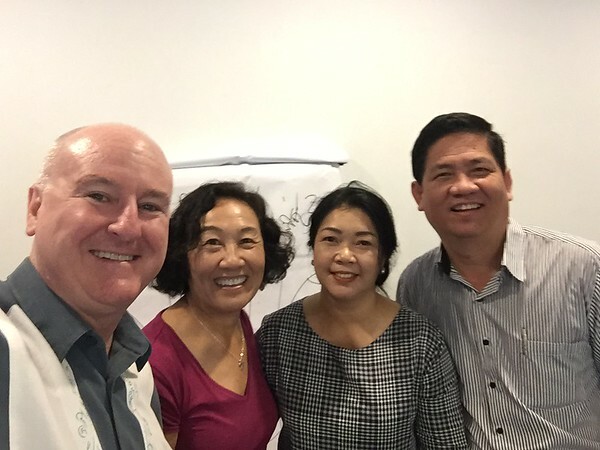 The dedication of the volunteer national leader, Meng Aun Hour and his wife, Rady, and the team he had developed to lead the A2 effort in Cambodia are exemplary, yet very humble servants of the Lord. 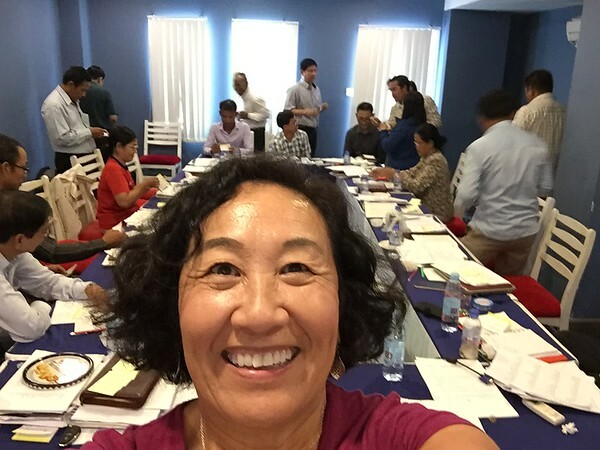 The Asian Access board invited Janice to sit in with us at our most recent board retreat and what a hoot she is. We even had a little extra fun on the football field of Ohio State together. More importantly, Janice experience, wisdom and participation were so impressive that we invited her to join us and she happily agreed. What a thrill to welcome Janice Munemitsu to our board. She’ll bring a lot of experience and insight to our team. We’re excited to have her with us! Ms. Janice Munemitsu has been involved with the generosity movement since 2003. Called to lead back-to-back capital campaigns for 9+ years at Mariners Church (Irvine, CA), this experience gave her a heart for truly transformational and spiritual stewardship and generosity. She is on the California advisory board of the National Christian Foundation California and participates in encouraging generosity to the Kingdom. In addition, her passion is helping others find spiritual freedom in Christ (2 Corinthians 3:17) through soul care and spiritual direction. She serves as a spiritual director for graduate students and staff at Biola University’s Center for Spiritual Renewal (CSR). Janice comes from the consumer brands/food industry, where her last corporate role was Vice President of Consumer Brand Marketing, ConAgra Foods. During her tenure with ConAgra Foods, her responsibilities spanned advertising, consumer promotions, marketing research, new product development and sales for brands like Hunt’s Tomato Products and Healthy Choice. Prior to ConAgra Foods, she worked in brand management at Mars Inc and The Clorox Company. Janice holds both Bachelor of Science and Master of Business Administration degrees from the University of Southern California, Los Angeles, CA, and M.A., Spiritual Formation and Soul Care from the Institute for Spiritual Formation (ISF), Talbot Seminary/Biola University. With a heart for travel, and light suitcase to match, Janice is a native Southern Californian living in Corona del Mar.